The pharmaceutical company, Ranbaxy, has been held criminally liable for a number of injuries and wrongful death caused by dangerous drugs produced in overseas factories. The manufacturing company failed to follow federal safety guidelines and lied to authorities. Now the company has pleaded guilty to criminal charges and will be forced to pay a record $500 million fine. Consumers in the United States and worldwide should be able to trust that the company’s they depend on are held to the highest standards. Our Boston dangerous drug lawyers are dedicated to helping victims of drug injury protect their rights against Ranbaxy and similar negligent drug manufacturing companies. Lofton, et.al. v. McNeil Consumer & Specialty Pharmaceuticals, et al., was initiated in 2000 after the death of Christopher M. Lofton. The company received its first warning in June 2006 and the Department of Justice initiated legal proceedings against the company in 2008. Many critics believe that the $500 million fine is minimal compared to the damage caused by the company and the egregious acts that led up to the criminal charges. Foreign drug makers are difficult to regulate and the FDA faces a number of challenges when reviewing how the drugs are manufactured or distributed in the United States. According to reports, this is one of many foreign drugmakers that was able to produce drugs cheaply and under the radar of the FDA. The company has pleaded guilty to felony charges after admitted to selling adulterated drugs with the intent to defraud. Ranbaxy failed to meet drug specifications and made intentionally false statements to the government. Ranbaxy was finally scrutinized after evidence of harm to consumers and the FDA found that the drugs had extremely high rates of impurity, creating significant risk to patients. In November, Ranbaxy had to withdraw its anti-cholesterol drug after the pills were found to be contaminated with glass powder. Many of the drugs would become unusable when exposed to hot or humid conditions, even when necessary to patient survival. Many of the drugs were prescribed to patients suffering from AIDS, bacterial infections, or epilepsy. According to reports, Ranbaxy is guilty of failing to follow standards of manufacturing prescribed by the FDA as well as fraud. In addition to breaching patient trust, the company also defrauded an entire system. Some critics of Ranbaxy have suggested blacklisting a number of the drugs that are still under investigation. Many believe that the Indian government is also to blame for failing to investigate or charge the company with a crime. India’s regulation agency has also failed to probe the company. It has been reported that the company’s executives demonstrated an extreme lack of empathy for patients dependent on their drugs. The company has admitted that during the summer of 2007 a batch of gabapentin, also known as Neurontin, had tested positive for impurities. This meant that the shelf life for this batch of drugs was unreliable and that the drugs were essentially unusable. The drug is used to treat epilepsy and is a necessary part of life for patients. According to reports, there had been several issues with the batch for month. Despite this knowledge, the company intentionally delayed notification to the FDA. 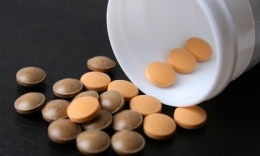 The end recall involved nearly 75 million pills. If you or a loved one suffered a defective drug injury in Massachusetts, call the Law Offices of Jeffrey S. Glassman for a free and confidential appointment — 1-888-367-2900.